I received a few comments and emails regarding the "miracle lotion" on Ichthyosis forum. 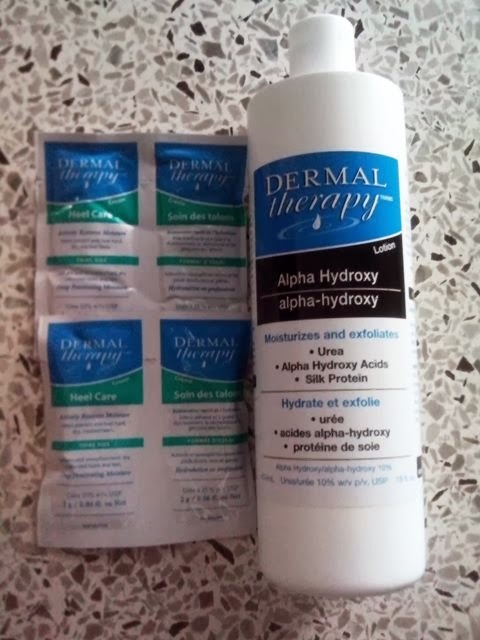 which can be bought from https://www.dermaltherapy.com/. Urea and Lactic Acid which helps the skin to shed. 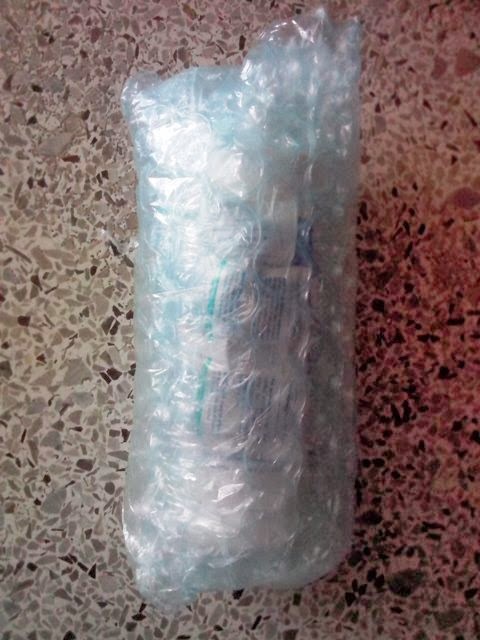 Previously I found a friend in Malaysia who is also suffering from Ichthyosis who asked whether any Malaysian wants to order the lotion with her in bulk to save on postage. However at that moment I just bought a new big bottle of St.Ives and figured I will order only after I finish my St.Ives. So she ordered without me. After I finished my St.Ives, I figured it is really time to give this one a try, so I went ahead to get a bottle. Only one as I was afraid that it may not suit my skin as some user said they dislike the strong smell of urea. For 1 bottle that I ordered, I was given the option to choose between postage with tracking and without tracking. Obviously the postage without tracking is cheaper than those with tracking. So I asked my friend who has experienced buying the product. She said she used the postage without tracking twice and never lost the product, they all arrived safely...so fingers crossed! First you will receive your order summary in your shopping chart. One bottle of 16 oz. is $25. I didn't try if I order more than one whether the shipping & handling will be reduced but I think it will. Second you will receive another email for shipping out of Canada/US. Other types of shipping are more expensive the the lotion itself T_____T so I chose the not trackable surface mail small packet after hearing the review from fellow Ichthyosis friend. After that it depends on luck, I waited for almost 4 weeks (a month). I was really worried it will be lost and there is no way for me to ever track it. But in fact it arrived early! 12 weeks can be a devastating wait. 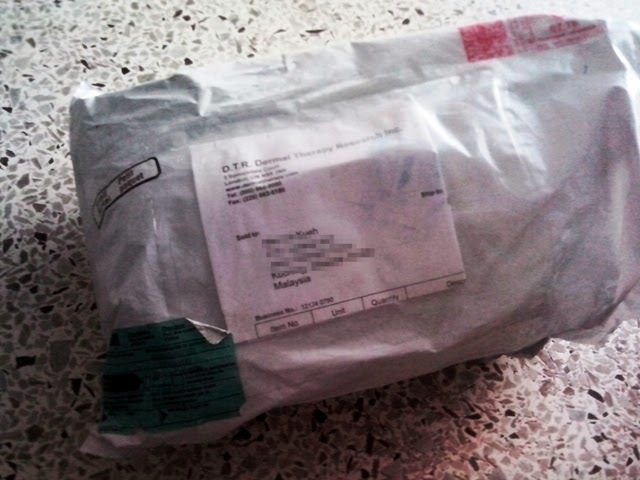 When it arrived, I was so happy! So in total for one bottle I paid $25+$8+$18.13=$51.13. That is like RM167.65 based on today's exchange rate. It shouldn't be much different on other days except if there is a major change in the exchange rate. Based on what our Ichthyosis friend said, one bottle could last 2-3 months. Buying in bulk will definitely be cheaper because you will be saving on shipping. For example if you buy 2-3, the not trackable shipping will be only few dollars additional, around $25. And so securely wrapped up in bubble wraps! 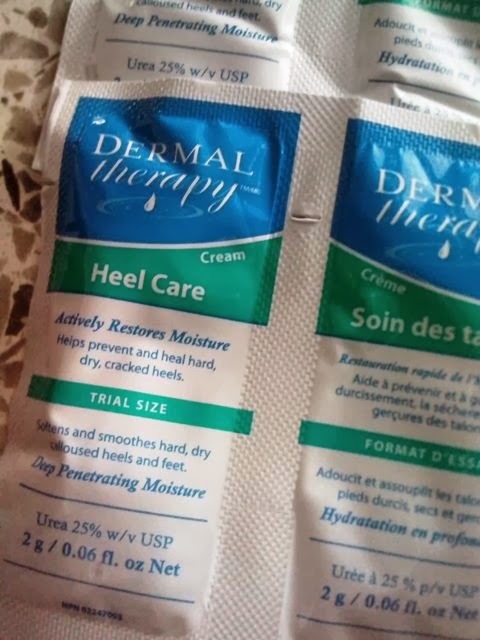 They gave 4 packets of best-selling Dermal Therapy Heel Care cream samples. Regarding the lotion, Awesome!! It really is a miracle lotion. I used it in Malaysia and not greasy at all! But my Mum did complaint about the urea smell. So after using the lotion, I topped it with nice-smelling baby lotion :) I recently went to Hong Kong which has Spring temperature, I didn't scrub for a week and I can still barely see flakes! Now I can confidently wear shorts and skirts in public, am so thankful for this miracle lotion. Will it work for ichthyosis vulgaris..? ?